Isolated BNC Coaxial Patch Panels are great for setting up a video distribution network. Often used in Resturants and similar establishments, coaxial patch panels will allow you to distribute multiple video signals from their source to the select output device. 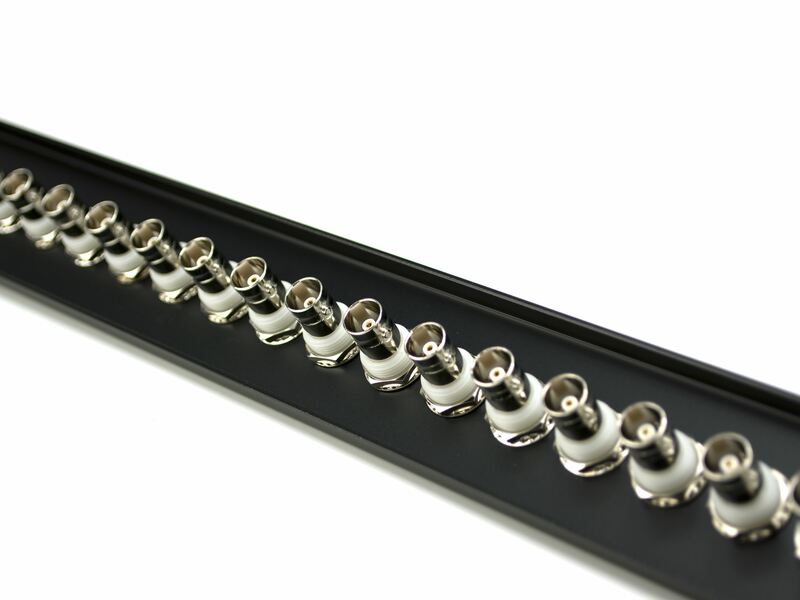 Made from powder coated steel this Networx® Coaxial Patch Panel with Isolated BNC Couplers will ensure your video signals are running to their full potential. Labels above each port will make sure you able to quickly identify which port requires your attention. All Networx® Coaxial Patch Panels come Fully Loaded and ready to be mounted in your distribution cabinet. 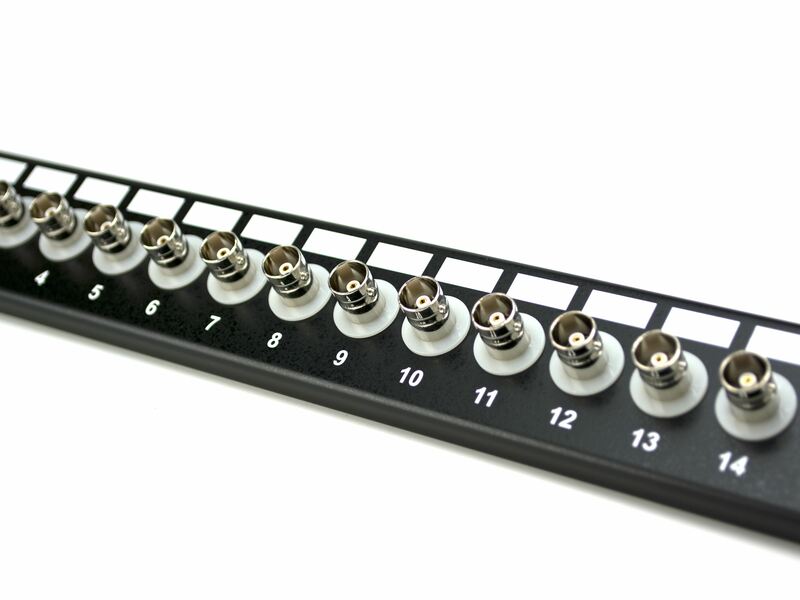 The Networx® 16 Port Fully Loaded 75 Ohm Isolate BNC Coaxial Patch Panel is a great solution when setting up any type of coaxial distsribution network. Isolated panels prevent crosstalk and interference between the grounds and isolates the signal.